Home away from home ... Great place, Great smiles . Great atmosphere. Definately recommended for fabilies with children. 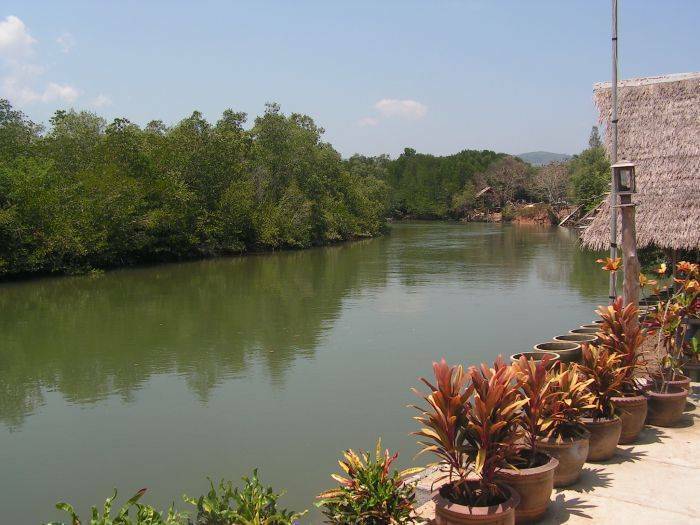 Sansuko Ville (meaning "place of happiness") can be found located between Phuket Town and the idyllic Cape Panwa within a local Thai fishing village. 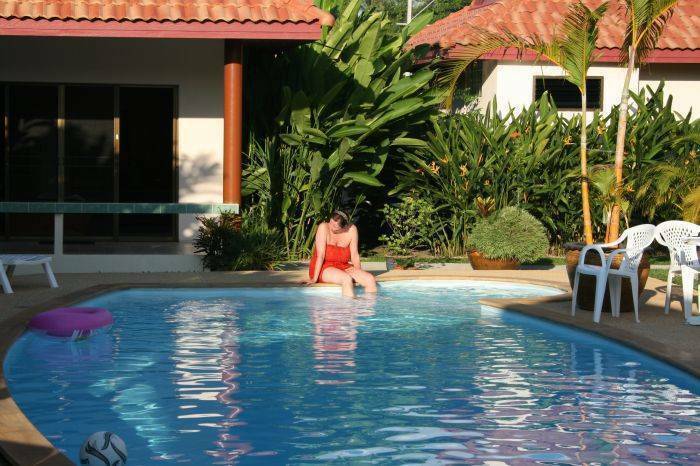 We consist of just nine individual air conditioned bungalows which are set around a crystal blue swimming pool in lush tropical gardens. We are a western couple working with a Thai family to create a relaxed atmosphere in order for our guests to experience the true Phuket. 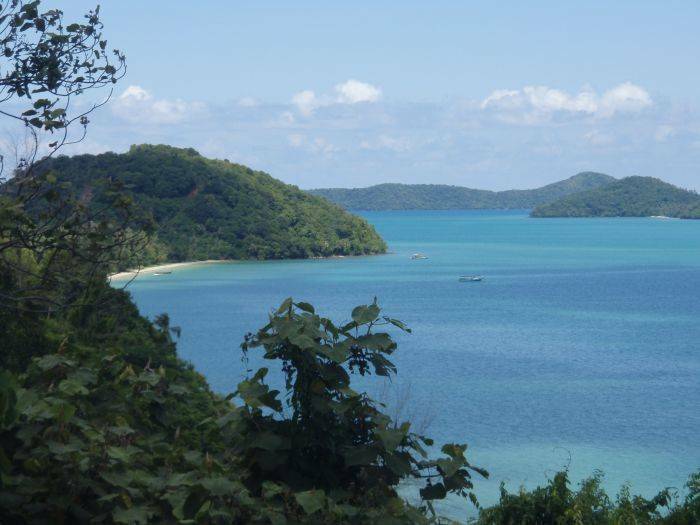 We are only minutes away from secluded beaches, the stunning views from Khao Khad Viewpoint, local restaurants and markets selling fish straight off the boat. A short motorbike or car ride (we can arrange rental of both at very little cost) will take you into the heart of the island's capital Phuket Town with its wonderful nightlife, restaurants and shopping or for the more adventurous explore the surrounding tropical rain forests. The bungalow rooms are spacious with all amenities you need for a comfortable and relaxing stay. They are cleaned to western standards with modern en-suite bathrooms which include bath/shower, hot /cold water and toilet. All rooms are large with king-size bed, cable TV, air conditioning, safety deposit box, mini-bar and complimentary tea/coffee making facilities. 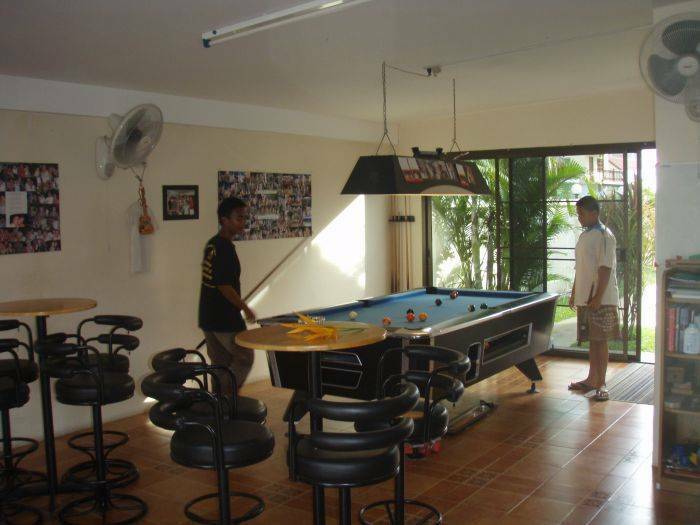 Our bungalows are set in the heart of local village and you will get to know everyone if you want to. Naturally because of our location your privacy and security are guaranteed. We offer all the services of a big hotel, laundry, free wi-ifi, bar and can arrange tours or show tickets for you. We have never had a request we could not meet so give us a try. For guests who are traveling onwards to Phi Phi, Krabi or Koh Lanta we are within 10 mins of the harbor for transfer. Deluxe Rooms (with private balcony) - Overlook the swimming pool and consist of large king-sized bed, en-suite bathroom, air conditioning, large cable t. v., d. v. d player, mini-bar, complimentary tea/coffee making facilities. Superior Rooms (with private balcony) - Overlook the garden area and are primarily to the same standard as above but with smaller t. v and no d. v. d player. Although all rooms are non-smoking there is no problem smoking on the private balcony area or within the bar area. We are located within the Thai fishing village area of Ban Borae where you can stroll by the harbor side and be met by friendly faces. Evening time at the harbor sees the arrival of wild monkeys looking for food, whilst the locals buy and sell their local produce. A day at the local beach offers great relaxation with excellent food at cheap Thai prices and if you wait till dusk you will hopefully experience one of the most beautiful sunsets. Offering breakfast and bar snacks throughout the day. Thai Resturant on the harbourside offering excellent seafood dishes. Local Thai resturant offering the best of traditional Thai dishes. We are situated on Sakdidet Road which is the main road into the stunning Cape Panwa and within minutes of Chalong, Rawai and Phuket Town. 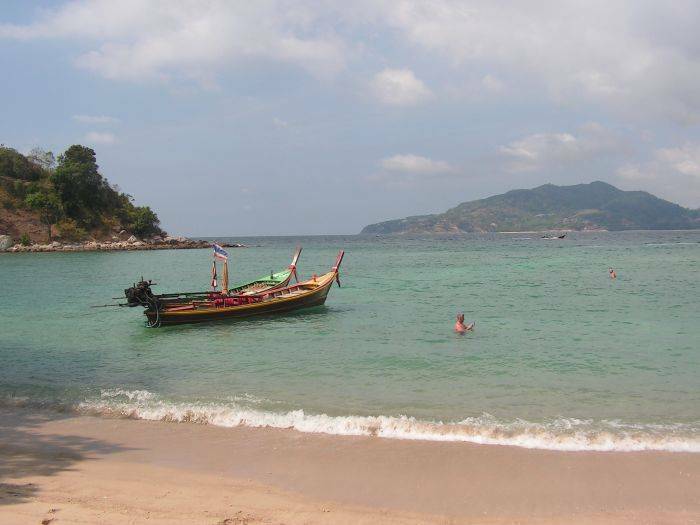 We are located 5 mins from the beach (we offer free transfer), 10 min from Phuket Town nightlife and shopping area. 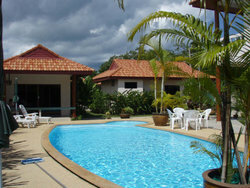 Nearest airport: Phuket International Airport.